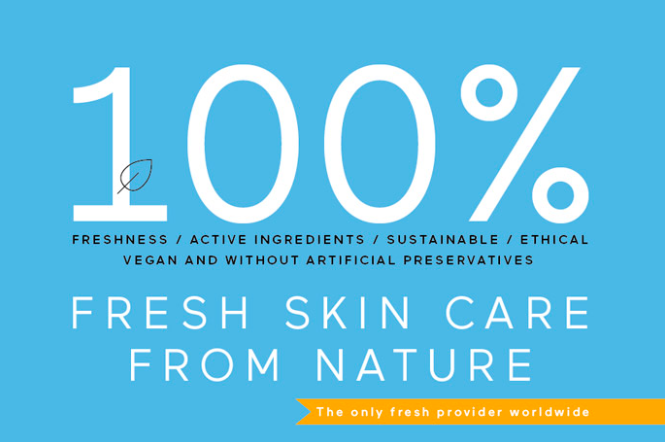 Experience the 100% Fresh Skin Care Products & Food Supplements. Developed in Austria by the only fresh provider worldwide, these high tech products with artisanal quality come straight from nature and are all vegan. Curious? Don‘t miss our product presentation and feel the pure energy of Freshness. Artificial Preservatives/Parabens, Animal testing, Dairy, Microplastics, Allergens, PEGs, Mineral oils, Colourings, GMOs, Aluminium, Flavourings, Synthetics, Emulsifiers and Fragrances. Pimm + Marcel van der Donk.